LG today announced the F60, what it calls an affordable handset with LTE 4G on board. The F60 features a 4.5-inch WVGA display and 1.2GHz quad-core Snapdragon processor with 1GB of RAM and either 4 or 8GB of internal storage. The device has a 5-megapixel main camera with Gesture Shot and Touch & Shot, and a 1.3-megapixel selfie camera with a user-facing light for improved selfies. The device includes Bluetooth 4.0, Wi-Fi, and GPS, and relies on a 2,100mAh for power. The F60 features a number of LG's signature capabilities, such as Knock Code. The F60 runs Android 4.4.2 KitKat and will go on sale in the weeks ahead. U.S carriers have not announced support for the phone yet, but LG said it will be sold in the Americas. Verizon today added the LG Transpyre to its prepaid lineup. 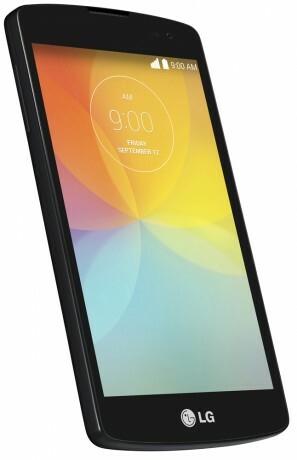 This basic Android phone is essentially the same phone as the LG Tribute offered by Virgin Mobile, except with more memory and a better front camera. Virgin Mobile USA recently made the LG Tribute available on its web site. The Tribute is a low-cost Android smartphone that features a 4.5-inch screen, quad-core Snapdragon 400 processor, 5-megapixel camera, LTE and LG's Knock Code. So, the camera facing the user is a "Selfie" camera, but the light is a user facing light? So which is it, is it a User-Facing camera, a Selfie Camera, a User-Facing light, or a Selfie light? The term Selfie Camera is really stupid. is it really that big of a deal between calling it a front facing camer or a selfie camera? its the same thing thats just what its used for. Selfie camera, for real that sounds so childish, what we now? Teenagers?